Sudharshaan Impex presents highly durable range of Mens Collar T Shirts, which is available in various sizes such as small, medium, large, XL, XXL. These can be availed in various customized specifications according to our clients’ given logo. 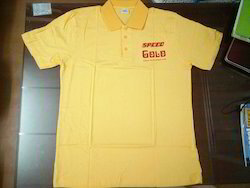 We are manufacturer of all kinds of polo t shirts.Our company is among the most sought after providing Polo T Shirt to our various clients. 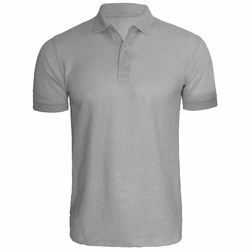 Our offered Polo T Shirt is specifically designed by making use of optimal-grade fabric which we acquired from specialized vendors of the industry. Apart from this, by dispatching the same to the customers' premises in committed time-period, we have mustered huge client-base. Looking for Collar T-shirt ?